Discount available! 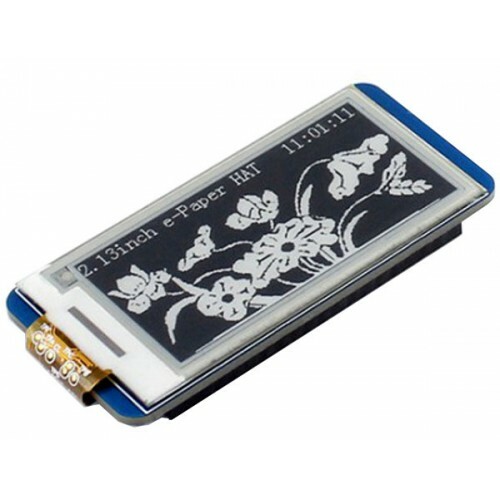 Recommend 250x122, 2.13inch E-Ink display HAT for Raspberry Pi to your friends and get your Discount. 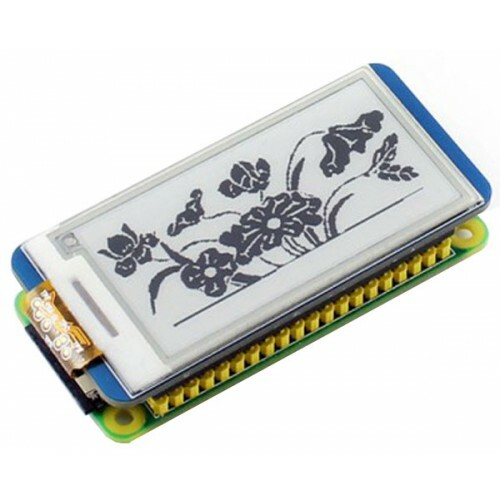 This is an E-Ink display HAT for Raspberry Pi, 2.13inch, 250x122 resolution, with embedded controller, communicating via SPI interface, supports partial refresh. 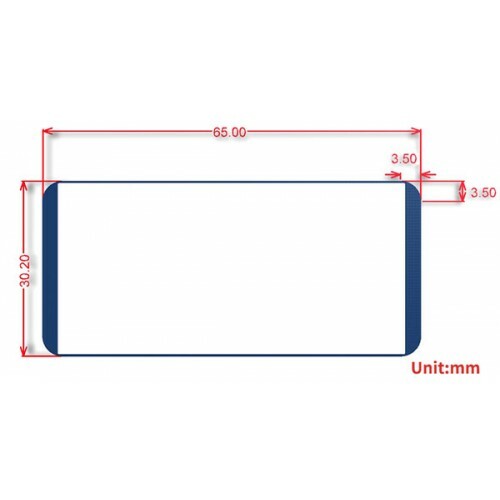 Due to the advantages like ultra low power consumption, wide viewing angle, clear display without electricity, it is an ideal choice for applications such as shelf label, industrial instrument, and so on. 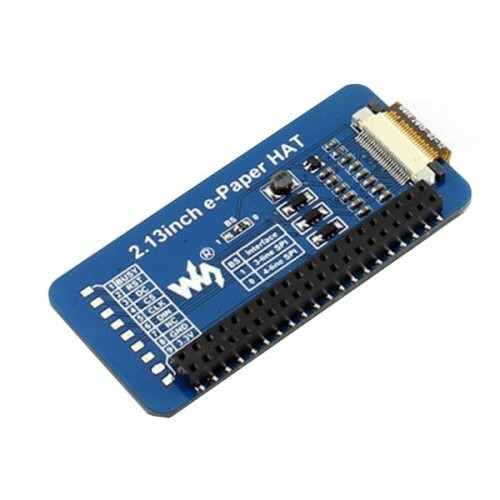 Preserved solder pads for SPI interface, for connecting with other controller boards like Arduino/Nucleo, etc. The new Arduino Uno R3 (third revision). Uno now uses an ATmega16U2 to comuni.. The Arduino Mega 2560 is a microcontroller board based on the ATmega2560. It has 54 digit..
STMicroelectronics STM32F401RE Nucleo Board enables you to build and evaluate your .. The STMicroelectronics Nucleo Development Boards (NUCLEO-L152RE) will eva.. The Raspberry Pi Type B 3 is the third gen.. 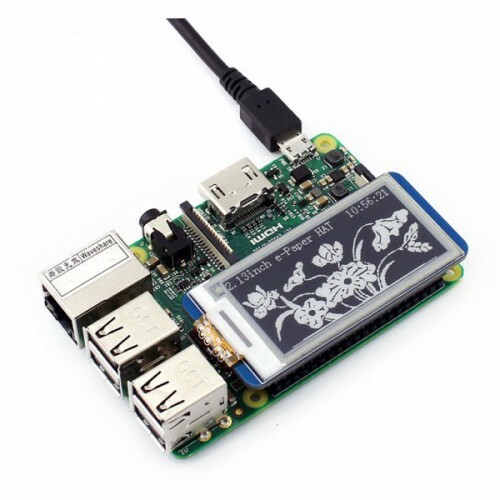 The Raspberry Pi 3 Model A+ is the latest product in the Raspberry Pi 3 range, weig..